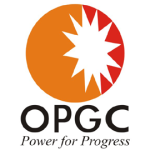 OPGC Recruitment 2015 – Engineer & Manager Posts:- Odisha Power Generation Corporation (OPGC) has published latest notification for filling up 03 posts of Lead Engineer (Railways), Dy Manager (Railways) & Jr. Contracts Manager. Desirous & eligible candidates can apply online on or before 20/07/2015. 1. Lead Engineer (Railways): Degree in Civil Engineering. 2. Dy Manager (Railways): Degree in Civil Engineering. 3. Jr. Contracts Manager: Degree in Mechanical/ Electrical Engineering. Last Date of Online Application : 20/07/2015. Application Procedure: Eligible candidates can apply online through the website http://www.opgc.co.in on or before 20/07/2015. Odisha Power Generation Corporation (OPGC) has released latest recruitment notification for filling up 02 posts of Assistant Manager (Finance) & Dy Manager (WTP) on permanent basis. Desirous & eligible candidates can apply online on or before 20/07/2015. 2. Dy Manager (WTP): M.Sc (Chemistry) or Degree in Chemical Engineering with minimum 60% marks. Application Procedure: Interested candidates can apply online through the website http://www.opgc.co.in on or before 20/07/2015. Subscribe our free job alert mail for OPGC Recruitment 2015.